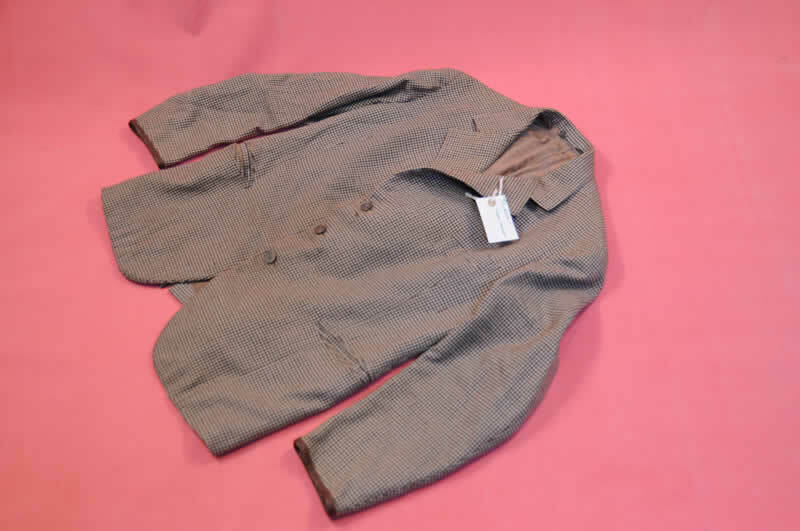 Gents tweed dogtooth jacket with two vents at the back. Three pockets, one with inset pocket. Inside pocket on right hand side. 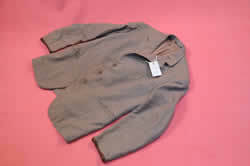 Single breasted with three front buttons, buttonhole on left lapel. Cuffs bound with leather. From neck 70(l) x 56(w)cms . Sleeve 43(l) cms.